There are some comfort foods that just never get old and that make both kids and adults ridiculously happy. On the top of the list is macaroni and cheese. I have a very sophisticated friend who, upon arriving at my house for dinner, will say, “Is that mac and cheese I smell? Oh, please tell me that’s mac and cheese. I really hope it’s mac and cheese.” And for her, it usually is. Plain macaroni and cheese is absolutely delicious. But as you may have guessed from the title of this piece, there are many ways to gussy it up and keep it interesting from dinner to dinner. Mac and cheese is a great base for all kinds of seasonings, for hot sauces of all stripes, for different vegetables, even for different types of meat. There are almost no wrong answers here! Start with a favorite mac and cheese recipe – like this one! – and then work in whatever ingredients speak to you. The suggested amounts of add-ins will work with any macaroni and cheese recipe that calls for one pound of pasta. A standard cheese sauce is delightful, and using your favorite cheese or cheeses will already give your mac and cheese a distinct personality. But try adding a little spice! A little heat goes a long way, and there are so many ways to add some spice to your sauce. If you want to really bring it, then keep adding heat until you reach the right tongue-tingling level for you and your family. The amounts given below are merely guidelines; the good news is that you can start with smaller amounts, and then keep tasting your sauce to see if you like it as is, or want to keep dialing up the heat. Add cayenne pepper or dried red pepper flakes to the sauce, starting with about 1/2 teaspoon and increasing the amount gradually. Hot sauces! You may never reach the end of these variations, such as Sriracha (Southeast Asian), Harissa (Moroccan), Gochujang (Korean), or good old Tabasco sauce. Start with 1/2 teaspoon, and increase as desired. Start with spicy peppers, such as hatch, Anaheim, or jalapeño, then roast them, chop them, and add them in after the cheese melts. Amounts are hard to suggest because the heat varies so much, so start small, taste as you go, and add gradually! If you pair mac and cheese with a salad, you are good to go. But for a bona fide one dish meal, you can also put some vegetables right into the mac and cheese after the cheese has melted into the sauce. For vegetables that need to be cooked, such as broccoli and butternut squash, roasting them is a good way to add nice caramelized flavor to the dish. Leftover vegetables prepared another way you can certainly be used as well. Here are some choices for adding those nutritious veggies to your dish. 2 cups cooked asparagus, cut into 1/2-inch pieces. Adding some meat or other protein to your mac and cheese makes it even heartier and certainly defines it as a main dish. Although mac and cheese (amongst its many appeals) is a vegetarian dish for the most part, it doesn’t have to be. You can add in all sorts of meaty and even seafood-y additions. Some people even like to mix beef chili into their mac and cheese. But don’t forget all of those vegetarian versions of proteins available today, like baked tofu or tempeh or soy versions of things like shredded chicken—all of those non-meat options work as well. 1 to 2 cups cooked cubed (or shredded) chicken, ham, pork, or beef. 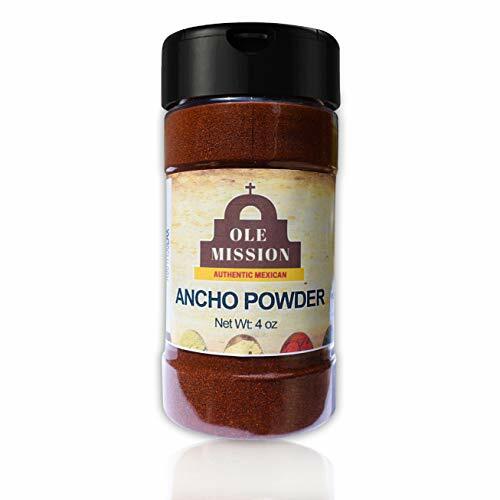 1/2 to 1 pound sautéed and drained ground beef, pork, turkey or chicken (you could also add in 1 tablespoon chili powder as you sauté the meat for a more chili-like vibe). 1 to 2 cups sautéed extra firm tofu, or puree some of the sauce with 1 cup soft tofu in a blender, then return it to the pot, then add your noodles. 1 to 2 cups cubed cooked lobster or shrimp. 1/2 to 1 cup cooked crumbled sausages, from pork to turkey to chicken (or try a vegetarian “sausage”). 1/4 to 1/2 cup cooked crumbled bacon, speck, or pancetta (watch the addition of salt if you add one of these salty cured or smoked meats). Sauté any of these in a skillet until crispy, then fold it in at the very end, so it holds on to its crisp-chewy texture. The contrast of the creamy mac and cheese against the crunchy breadcrumb topping is delightful. It’s a great way to make macaroni and cheese part of a more elegant dinner—kind of like a gratin! Make a simple crispy topping with from panko breadcrumbs (a fluffy type of Japanese breadcrumbs) and a bit more cheese. There are so many ways you could riff on a simple bowl of mac and cheese. What are some of your favorite add-ins and toppings?